The state government taxes and spends too much. In 2010-2012, Virginia’s operating budget was $79 billion. In 2018-2020, it will be $121 billion, with the approval of every Republican in the General Assembly, and almost every Democrat. Republicans and Democrats both believe that government spending should automatically increase every year. We seem to be the only voice proposing to cut the budget. We want to cut 10% across the board. We know that every single department will scream bloody murder, saying that we’re making it impossible for them to do their jobs, and that Virginia will crumble. We know that’s nonsense. We believe the government does too much right now, and we want the government to do less. 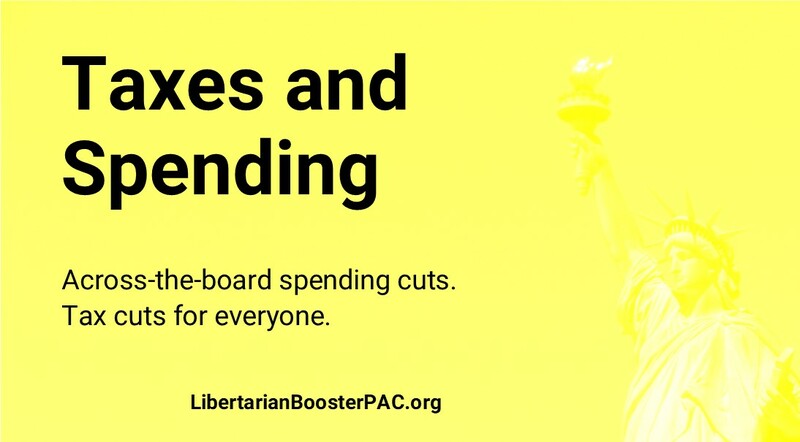 Less spending means less taxes. We also want to cut Virginia taxes, especially the individual income tax. We want to cut each bracket by at least 10%. (So the 2% bracket would drop to 1.8%, etc.) That doesn’t sound like much, but it could save the average Virginia family hundreds of dollars. In 2016, the state income tax came to $1,454 per capita. We also want to cut the state sales tax, which is currently 4.3%. In 2016, that was about $467 per capita. In 2019, the legislature passed budget House Bill 1700, almost unanimously. It increases the 2018-2020 operating budget to $121 billion. That’s a 15% increase over the 2016-2018 budget. Tax Foundation: How Much Does Your State Collect In Sales Tax Per Capita?